Insinkerator pro 750 is a high-end product of Insinkerator PRO series. It is design significantly as a prime upgrade version of the Insinkerator Evolution Compact garbage disposal model, with more advanced functions. Insinkerator pro 750 is advanced garbage disposal than Insinkerator Evolution compact as well. It has similar compact size but more powerful in grinding food waste and quieter when operating. Besides, the auto-reverse function makes Insinkerator pro 750 more efficiently prevent jams or clogging by reverse the momentum to automatically unclog whenever it stuck to food waste. Moreover, Insinkerator pro 750 have also upgraded the noise reducing technology as well. The anti-vibration mount along with sound-seal technology has shown the greatest performance in keeping the operation quieter than other models. It has been proven that this combination makes the disposer quieter 40% than other standard models. You even have to put your ear next to the unit to see if it is running or not. This part will show briefly how Insinkerator pro 750 will function whenever you get it in your home. The first thing, this disposer is very powerful. There is no doubt that your food waste will disappear in seconds whenever you turn your disposal on. The 3/4 HP Dura-Drive motor that is facilitated in this model make grinding up food faster, efficient and reliable. Besides, multi-grind stages of this model have ground up food waste into the finest particles. This makes this disposer more eco-friendly when helping waste-water treatment process more efficiently. In addition, you even can put small bones into it with no concern of jams or be clogging due to the auto-reverse function that I have talk above. If there are jams or clogging, it will auto-reverse to unclog it before you even notice. However, in order to keep the unit to perform wonderfully in a long time, you should check our maintenance tips for garbage disposal here for more information what should and should not do. The compact size is always convenient. Not just useful for the kitchen that has narrow space below the sink, this space-saver garbage disposal is always the best for anyone who loves to utilize the place under your sink for other kitchen support accessories instead of using the whole room for just one item. With just 12.13″ height, 8″ width, this disposer is fit to even the most restricted area but still functions great with 34.6 oz chamber. With that amount of chamber volume, it can serve best for normal family household food waste with around 4-5 persons. Finally, as stated above, Insinkerator pro 750 is always best for how it is quiet to operate. It is disappointing if you have a great compact and powerful unit but you and your family have to suffer its noise whenever turning it on. Fortunately, you never have that feeling when choosing this model because it is really quiet. Most of my customers always satisfy with it noise reducing and rating it all above of other features. Many of them even confirm that it is the quietest disposer that they ever know. Now I believe that you have found for your own highly potential garbage disposal to bring back to your home. But there is one more plus for this model. That is the warranty period. In case that you don’t know, Insinkerator is always ranked as one of the best in the manufacture of garbage disposal and customer service as well. This model is coming with 6 year-in-home full-service limited warranty for parts and labor. This is the second longest period of warranty, just after the Insinkerator Evolution Excel, top advanced Insinkerator garbage disposal. That means, In six-year after purchasing the item, you will have the free charge to fix or replace any parts that commit problems, which is included the cost of labor. Why Insinkerator pro 750 is for you? We have gone through what is best and how is this model function when you get it home. So let’s see whether Insinkerator pro 750 is the best for you or not. This model is definitely not for everyone. The first thing is the cost; this Insinkerator pro 750 is a quite highly advance disposer with a compact size so that the cost, as the last time I check in Amazon, is over $200, and it cost more than Insinkerator Evolution Compact about 20-30 bucks at the same time. I have to say that Insinkerator Evolution Compact is an advanced model with an affordable price. 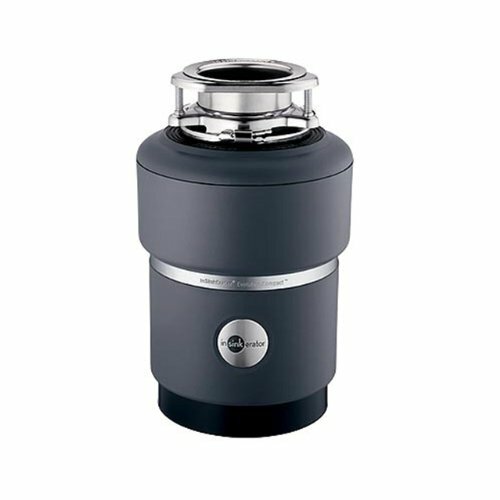 It is really good in any aspects that you want for garbage disposal; that is the reason why it is continuously on top of the best seller on Amazon recently. And the Insinkerator pro 750 is just better in every way. So that, if you want to get more advanced functions, higher experience with just some extra bucks. The Insinkerator pro 750 is really for you. Grind Chamber Capacity: 34.6 oz. Insinkerator pro 750 is always the best friend in the modern kitchen. It is convenient, silent and efficient in grinding up food waste. Its compact size is always used as a space saver garbage disposal. Its cost is also reasonable as the experience that it brings back to the customer for higher advanced garbage disposal. Helpful for Homes Copyright © 2019.
helpfulforhomes.com is a participant in the Amazon Services LLC Associates Program, an affiliate advertising program designed to provide a means for sites to earn advertising fees by advertising and linking to Amazon.com. Amazon, the Amazon logo, AmazonSupply, and the AmazonSupply logo are trademarks of Amazon.com, Inc. or its affiliates.